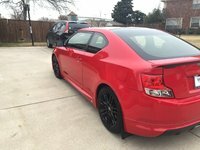 Looking for a Used xB in your area? CarGurus has 1,136 nationwide xB listings starting at $1,500. 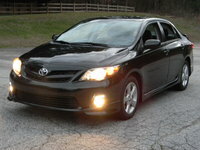 Scion's nimble take on the wagon boogies into 2013 with refreshed style and a newly optional BeSpoke Premium stereo upgrade. Although this update is quite late by usual standards, it's not like customers were really demanding anything more since the introduction of this second generation for 2008. So far drivers desire only minor comfort considerations, like more play in seat positions—not that drivers aren't elated with the level of comfort already afforded by the deceptively roomy and affordable xB. 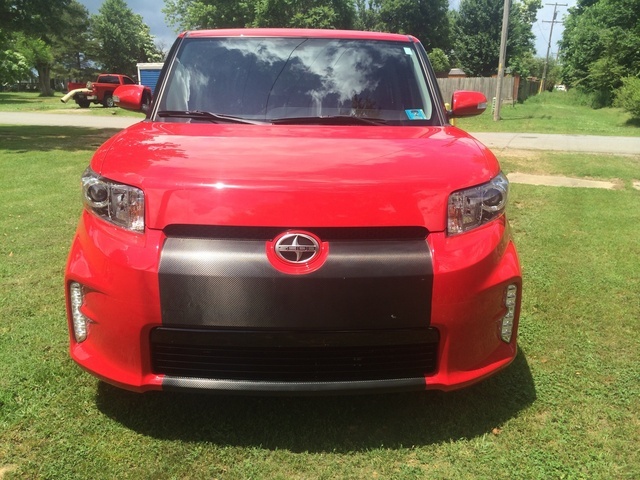 Sporting new LED accent lights, a glossy black grille and a new style for the rear diffuser on the outside, the 2013 Scion xB also adds bronze and chrome metallic accents and new seat fabric inside. Opting up for the new BeSpoke Premium sound system nets HD Radio, Bluetooth connectivity and a wealth of integration to iPhone owners, including iTunes tagging, Pandora streaming and the BeSpoke iPhone app, which pipes in features like Facebook, Twitter and Yelp access. 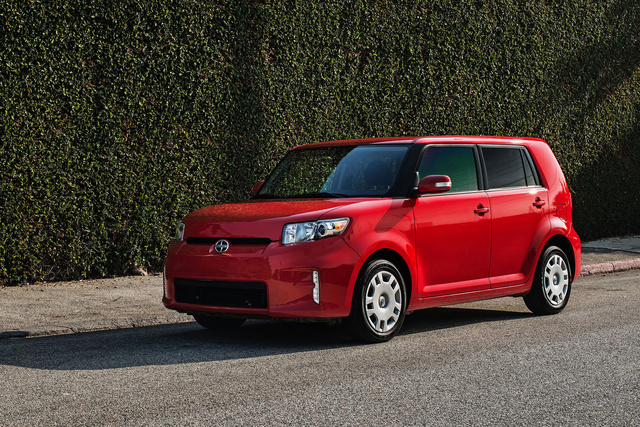 Scion changed nothing about the xB's spritely handling, smooth transmission choices and peppy 4-banger powerplant. But as is usual with unusual cars, magazines are quick to criticize things drivers praise. Drawing the most attention is the center console's integration of displays typically found in the dash above the steering column. This move is universally labeled anything from distracting to unusable by glossies, but drivers love Scion's decision, calling the setup easier to read than sticking everything behind the steering wheel. Second to that, professional reviews talk about room for improvement in fuel economy, highway tire noise and a couple of incomplete creature comforts, like sun visors that don't adequately take care of the side windows. Drivers make no mention of anything along those lines, instead calling the xB serenely quiet and less expensive to own than similar cars with similar fuel economy, like the RAV4. What drivers do mention as detriments amount to very personal preferences. For instance, some drivers don't mind the positions those front seats get into—others prefer more leg support, still others prefer less leg support. Make sure you put in the time for a thorough test drive to ensure this highly customizable budget cutie is a right fit for you. 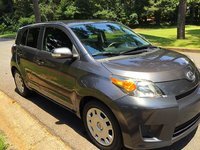 From bigger and alloy wheels to performance upgrades and gadgets like a rear-view camera complete with touchscreen interface, Scion dealers have a wealth of options to offer any xB buyer, but factory options can be a little limited. Highlights of the long standard features list include keyless entry, rear window tint, air conditioning, cruise control, a tilt-and-telescoping steering wheel with integrated audio controls, Bluetooth connectivity and a 6-speaker Pioneer sound system with CD player, HD radio, USB and auxiliary jacks, customizable display and even the built-in capability to add aftermarket speakers with RCA outputs. All those gizmos don't weigh down the xB, which still gets to 60 mph in around 8.6 seconds with its slowest 4-speed automatic transmission. Its lone 2.4-liter inline 4-cylinder powerplant can also be had with a 5-speed manual, either transmission sending all 158 horses and 162 lb-ft of torque to the front wheels for 22 mpg city/28 highway. That may not seem terribly impressive on paper, but drivers love the pep and overall savings with the xB over just about every competing SUV, especially with 21 cubic feet for storage available before folding down the rear seats for its full 70 cubes. What's your take on the 2013 Scion xB? Have you driven a 2013 Scion xB?